The digital world and its tools offer great possibilities to connect and collaborate with others. 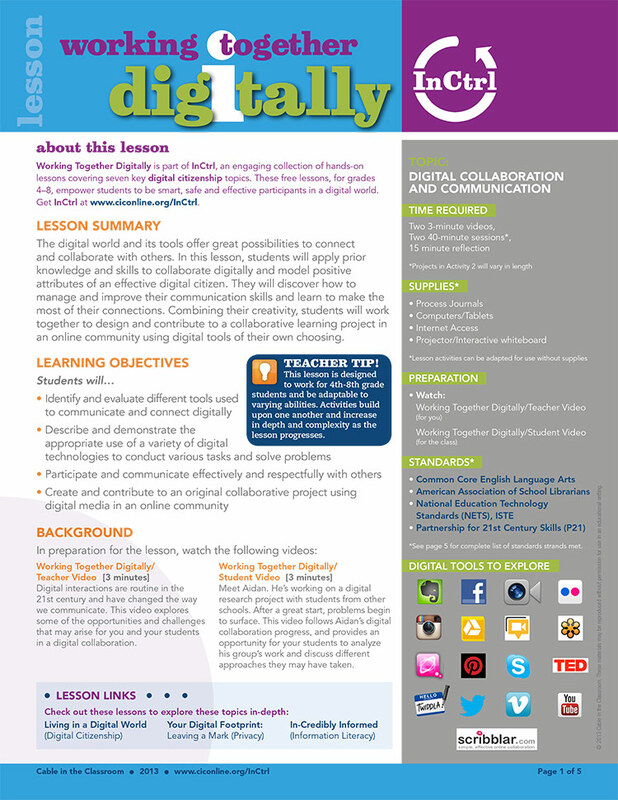 In this lesson, students will apply prior knowledge and skills to collaborate digitally and model positive attributes of an effective digital citizen. They will discover how to manage and improve their communication skills and learn to make the most of their connections. Combining their creativity, students will work together to design and contribute to a collaborative learning project in an online community using digital tools of their own choosing. Digital interactions are routine in the 21st century and have changed the way we communicate. 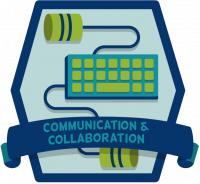 This video explores some of the opportunities and challenges that may arise for you and your students in a digital collaboration. Meet Aidan. He’s working on a digital research project with students from other schools. After a great start, problems begin to surface. This video follows Aidan’s digital collaboration progress and provides an opportunity for your students to analyze the group’s work and discuss different approaches they may have taken.